We are out of stock and there will be no new production. We did try but the problem is that some of the components we use in the Thinking Cleaner are not available anymore or if you can find them (or substitutes), those parts are very expensive. For a new production series we would have to redesign with new components and this is very expensive because of certifications and minimum order quantities. 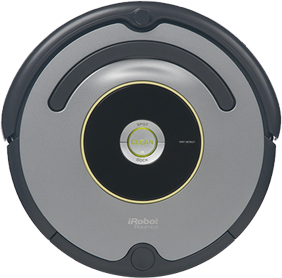 Take the best vacuum robot in the world and make it even better! that makes it smarter and aware of its owner. Both iOS and Android apps support multiple languages. At the moment we have: English, Dutch, German, Portugese, Hungarian and we are currently busy with Spanish and French. Easy schedule setup, even on Roomba's without scheduler. Up to 4 schedules per day! Max clean function (for large rooms). Timer based location aware automatic Clean function. 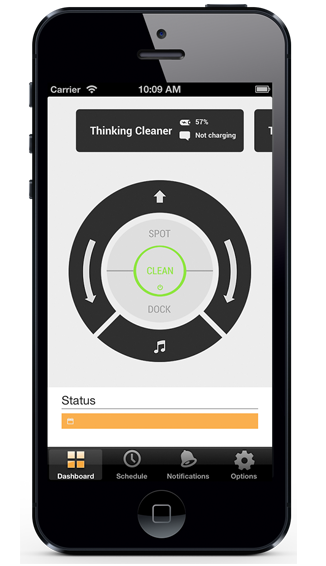 Multiple Thinking Cleaners are supported by the iPhone and Android app's. Easy to link to home automation systems (Some plugins and API available). Over the air firmware updates. Ready for future enhancements and features. - First install manual on the packaging, see online manual for more information. Inside the Thinking Cleaner runs a simple accessible website. This site enables any device with an internet browser to connect to the Thinking Cleaner. 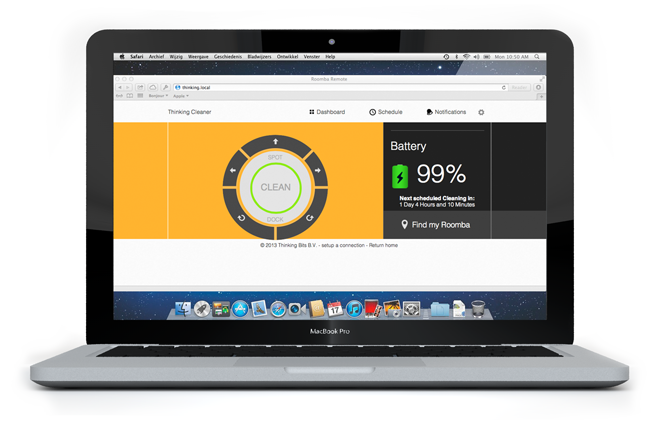 On the main page you can directly control your Roomba, see the battery status and the next scheduled time. Our schedules are also available on Roomba’s with no timer option. To make it easy for you to connect to your Thinking Cleaner from all over the world we have setup special Thinking Sync servers. Your Thinking Cleaner has safe access to the Sync server and you can access our Sync server with your smartphone or laptop and see the status of the Thinking cleaner and send commands to it. Of course the Sync access is password protected. Current combined cleaning distance in km. Total cleaning distance in km. of all current active Thinking Cleaners together.